(Newser) – Soccer legend Abby Wambach retired in December with a laundry list of dizzying highs that included last year's Women's World Cup title, two Olympic gold medals, a marriage to fellow soccer player Sarah Huffman—not to mention her status as the top goal scorer that international soccer has ever seen, male or female. By April, she found herself knocked to her lowest low: Charged with DUI in Portland, Ore., her bleary-eyed mugshot splashed all over creation. 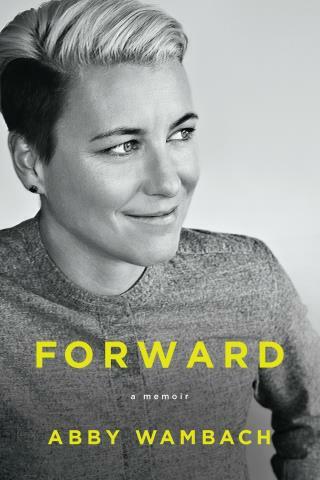 That night wasn't an aberration, she tells the AP ahead of the Tuesday release of her memoir, Forward. It was the culmination of years of substance abuse, washing her successes down with vodka, Vicodin, Ambien, and Adderall. "That night getting arrested was one of the best things that has ever happened to me. Because if I don't get so publicly shamed and publicly humiliated, I don't think I wake up," she says. I find this woman extremely off-putting and would only be interested in her drug escapes if they involved someone like Johnny Cash.